Are you afraid of dental visits? Are you terrified by the thought of treating your toothache in a clinic? Does the drill on your pearly whites give you panic attacks? Then you are not alone! In a research, it was found that 58.8% of the people were suffering from dental anxiety and constant fear. The whole process of sitting on the couch for long hours, drilling your teeth by unknown hands, bearing various uncomfortable procedures with no effective role to play etc. can make anyone petrified! Millions of people suffer from dental anxiety and avoid visiting clinics till things get out of their hands. This procrastination adversely affects their oral health and create prolonged sufferings. Many a time patients face unwanted pain and uncomfortable experiences during their first visit itself which leads to anxiety for the future ones. In some cases, patients tend to be afraid of the first experience owing to their own assumptions, fear of the unknown and bad worth of mouth about painful experiences. These all collectively work as a catalyst in increasing the anxiety. Let’s dive into some tips and tricks that will help you control your nervousness in your next dental visit. Be it waiting for your turn in the clinic or sitting on the couch motionlessly for long hours- music can keep your nerves under control. Try to listen to your favourite tunes during those petrified hours and divert your mind to something soothing. Music can relax your mind to a great extent and help you cope up with the anxiety. We tend to get nervous before visiting the dentist as we often neglect our oral hygiene on day to day basis. If it’s dirty out there, you will indeed overthink in fear of getting ashamed in front of the professionals! So, it’s better if you maintain proper hygiene of your pearly whites on a regular basis by Flossing and Using Mouthwash. It will also enhance the oral health as well as keep you away from stress prior to your appointment. 3. Make use of essential oils. Essential oils are beneficial for calming your mind and relaxing your body. Some specific scents such as lavender, rose etc. are very effective in soothing your mind. Hence, applying essential oils directly before and during your visits will keep your mind away from the dreaded anxiety and help you cope up with the pain like a pro! 4. Sedation for the best! Due to advanced research and development in the medical field in recent years, it is now possible to use sedation effectively for relaxing patients. The dental field has also curated various ways such as the use of nasal airway, IV sedation etc. to carry out the treatments and other painful procedures in a convenient and hassle-free manner. IV Sedation dentistry is one such new edge phenomenon that has redefined the dental scenario altogether. The medications are inserted into the veins directly that gives faster relief from anxiety, stress and fear. Mostly known as ‘twilight’ or ‘sleep’ dentistry, this procedure even allows the patient to remain awake during the treatment enabling the doctor to know whether things are going right! 5. Include meditation and breathing exercises. There is no better way to calm your nerves than meditation. 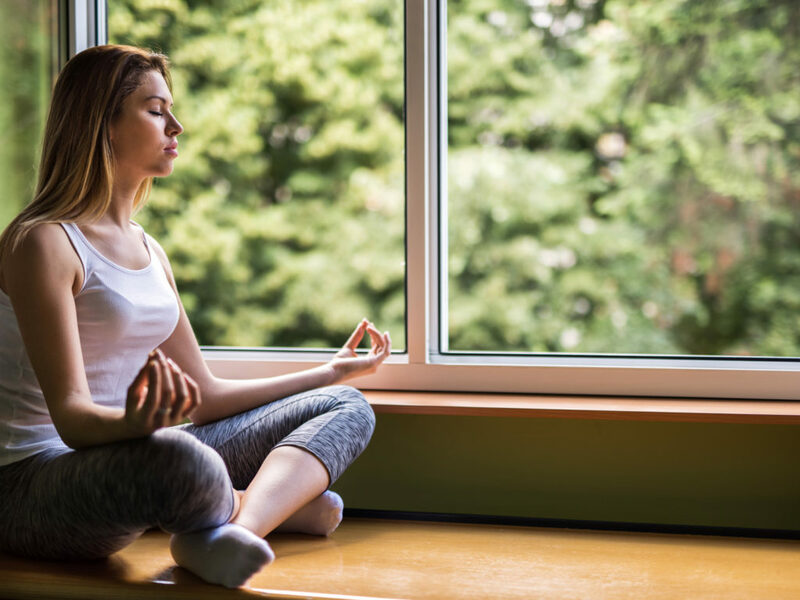 Make sure you incorporate meditation into your daily routine, especially before and during your visits. When you start your day with meditation, your mind feels refreshed, rejuvenated and calm. The effectiveness of meditation in controlling fear and anxiety is beyond limits and including breathing exercises will further amplify the benefits. Practice at least 15 minutes of meditation followed by 10 minutes of breathing exercises for utmost results. 6. Home remedies for the rescue! While diverting your mind is not possible always depending on the individual emotional threshold, it is recommended to opt for home remedies for quicker relief. Ginger, chamomile etc. are very effective in treating anxiety and stress. Make a hot cup of tea with ginger, lemon, honey, and sugar before visiting your doctor for the optimum effects. It will not only fresh you up but ginger’s natural calming property will push away all your stress and anxiety. Similarly, add chamomile flowers (dried) & honey in hot water and sip it before stepping out of your house. These herbs are natural, easily available and will help you control your stress drastically. Experiencing fear, stress, and anxiety is very common while pursuing dental treatments. The main reason for such nervousness is the fear of the unknown. Hence, incorporating all these steps along with a detailed discussion with your doctor raising your concerns will keep all your worries at bay and help you receive the treatment like never before!